Be sure to keep diving this winter! Now is the time to get your certifications up so that when the summer comes you are even more qualified and prepared to make that deep dive, or know how to find you buddy in that limited visibility dive; Or maybe even completing your Drysuit course so that you don’t have to miss out on any diving opportunities this winter due to the cold! 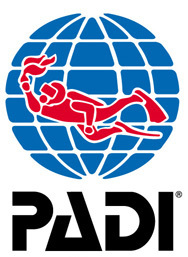 The Dive Shack is the Place to come in Adelaide to get all your PADI certs! From Deep, to Wreck, to Drysuit diving we offer one of the biggest ranges of Specialty Courses in South Australia. If you don’t see the specialty that you want to do being run soon enough, contact us, let us see if we can get one running so that you can learn exactly what you want to learn! We always want to hear from our customers, and know which courses YOU want us to run. Manage problems in the water, and become more confident in your skills as a diver, knowing that you can help others if needed. During the course, you learn to become a better buddy by practicing problem solving skills until they become second nature. Plus, the course is just fun – it’s serious, but still allows for lots of laughter in between the focused learning. In the PADI Advanced Open Water Diver course, there’s a long list of scuba specialty dives to try. Fish identification, boat diving, altitude diving, drift diving, sidemount diving, search and recovery, wreck diving, plus about 12 more. You do five different dives all under the expert guidance of your PADI Instructor. No formal classroom session, just a lot of diving. You can start learning online with PADI eLearning® and even get credit for your dives toward the related PADI Specialty Diver course. At the completion of this course you will be qualified to dive to 30 m.
Prerequisite for this course is a minimum of AOW course, Advanced First Aid (including O2) and Rescue Diver Course.